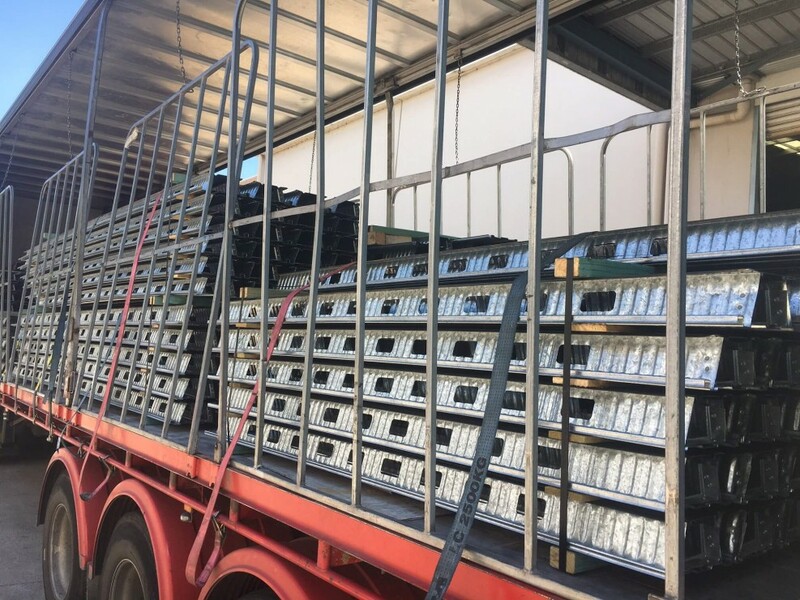 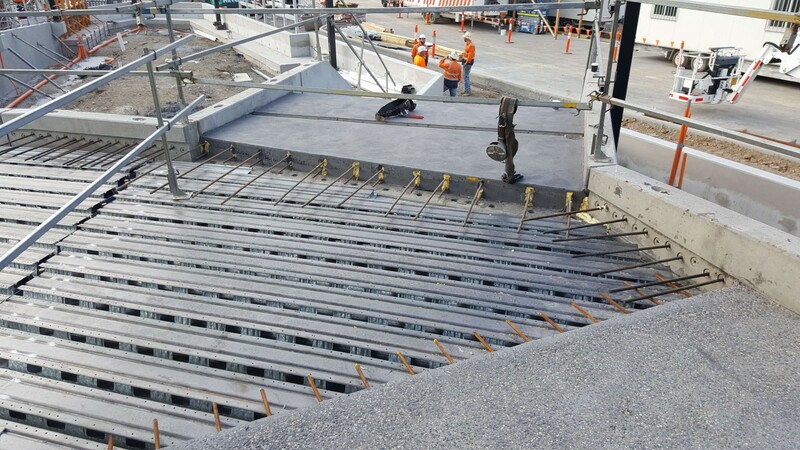 When a Construction Company is confronted with the tricky problem of building a concrete walkway 40 metres long, up to 5.6 metres wide and on a gradient with no propping access on the lower end, finding a product that would do the job was a challenge. 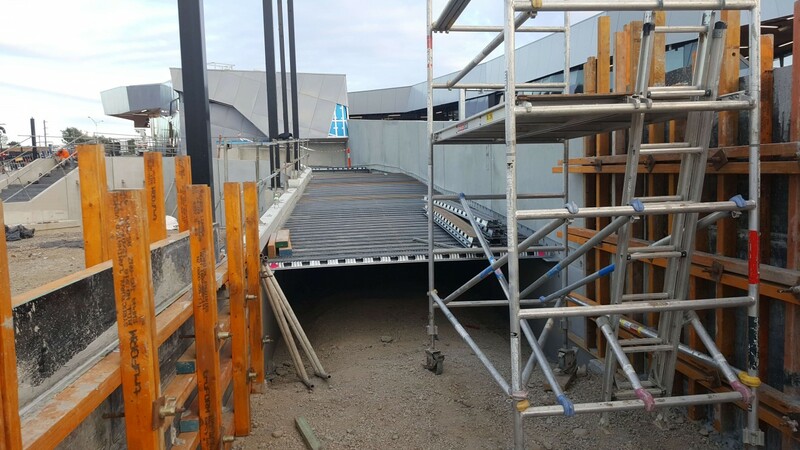 Bayswater Railway Station had 2 level crossings that had been a major traffic problem for years, so the Victorian Level Crossing Removal Authority made the decision to redevelop the entire Station precinct to build tunnels under the rail line at either end. 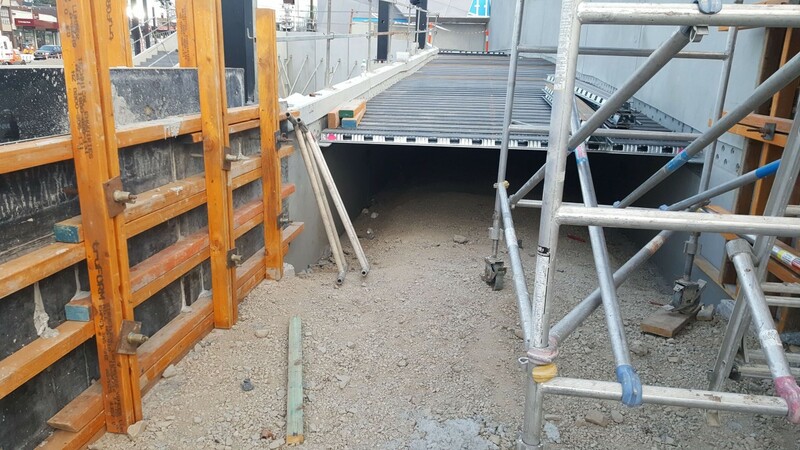 The main focus for the project was minimal disruption to both traffic flow and the rail network. 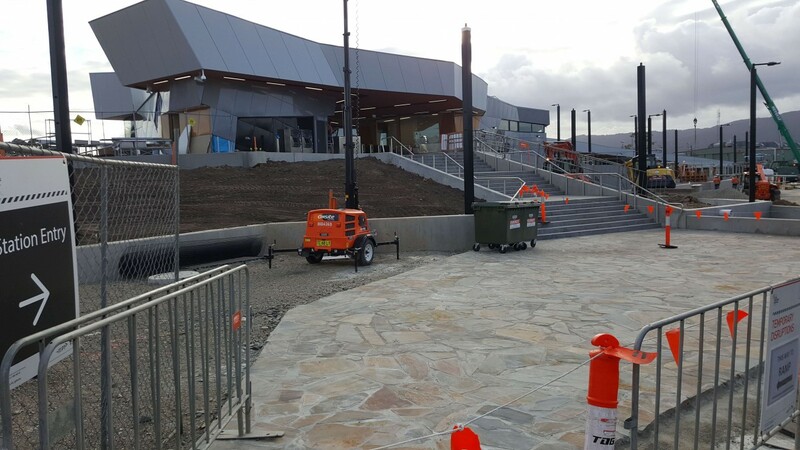 The site was completely redesigned with road and pedestrian access to the railway station, including a large adjoining carpark area and walkways to and from the station entrance. 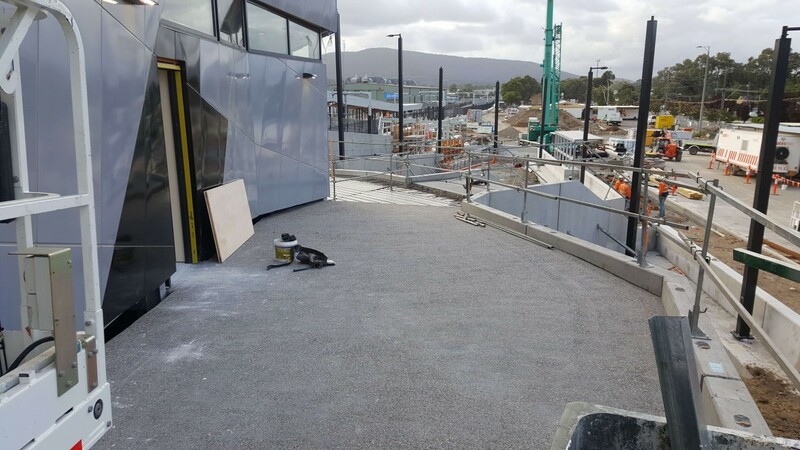 Melbourne company, Speedpro Industries was given the concrete package for the station build and pedestrian ramps to the upper level station entry through a contract with Hutchinson Builders, working under the Fulton Hogan Laing O’Rourke alliance. 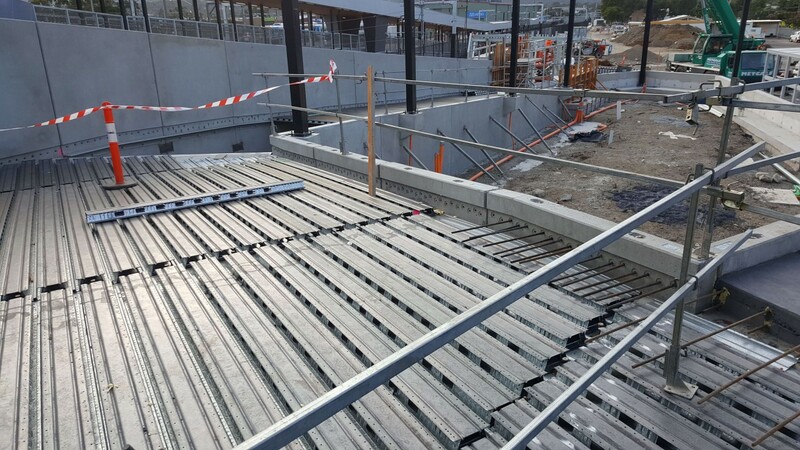 Timing was a critical factor so Truedek Steel Decking was used for the concrete access ramp and forecourt areas, a total of 346 sq m. Because of the limited access and time constraints, not having to rig up support props underneath was a major advantage and Truedek was ideal as a ‘set and forget’ solution. 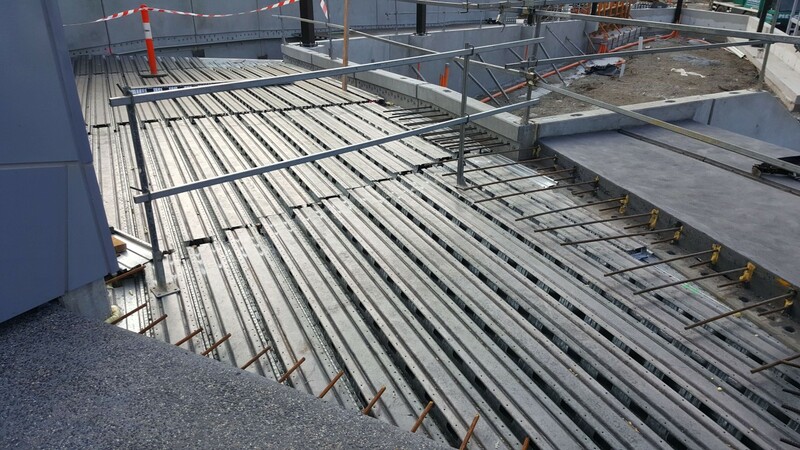 The job required two slab thicknesses, so Truedek TD90mm panels were used for the 200mm slab areas and TD 110mm panels for the 250mm areas.